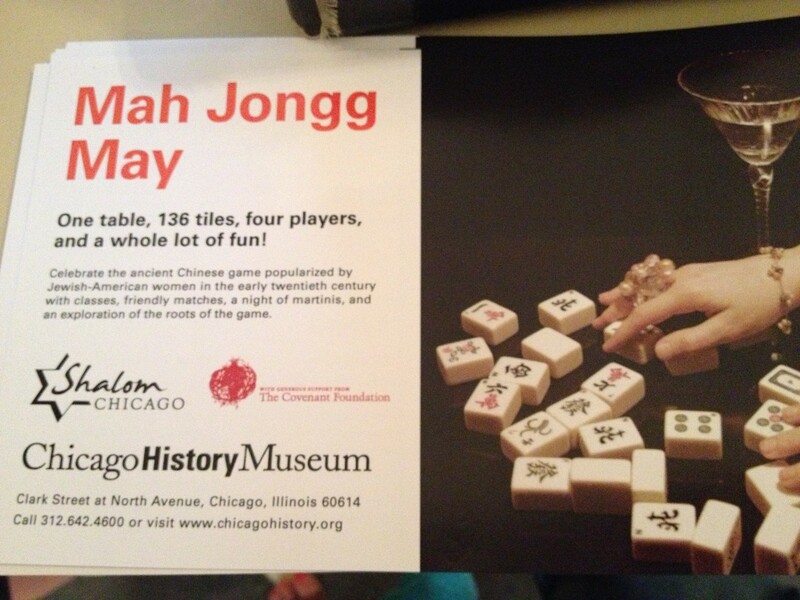 Our friend Megs, who took me around the Chicago History Museum earlier this year, invited Nate and me to an event to play Mah Jongg…what the heck is that? 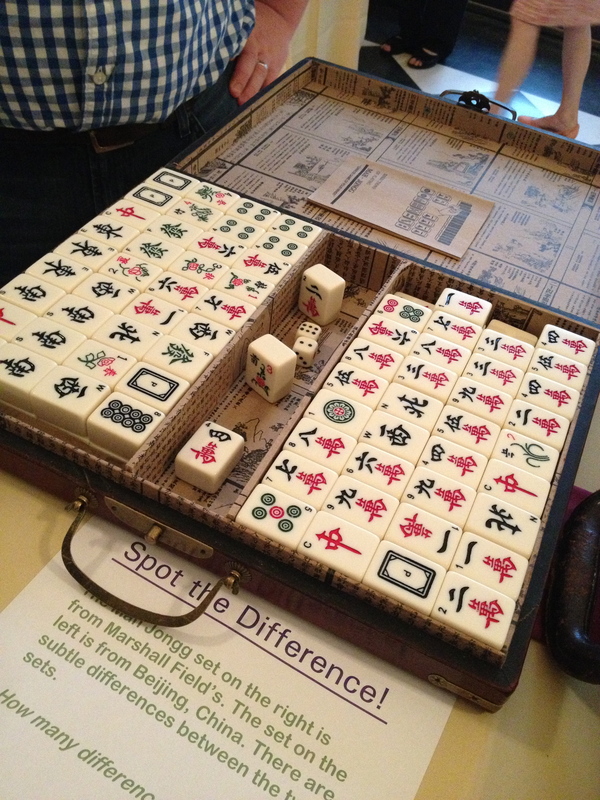 After getting clarification that it’s a Chinese tile game that Jewish women began to play in the early part of the 20th century, I was in. Nate loves to beat me mercilessly at games, so I knew he’d particularly get a kick out of it. 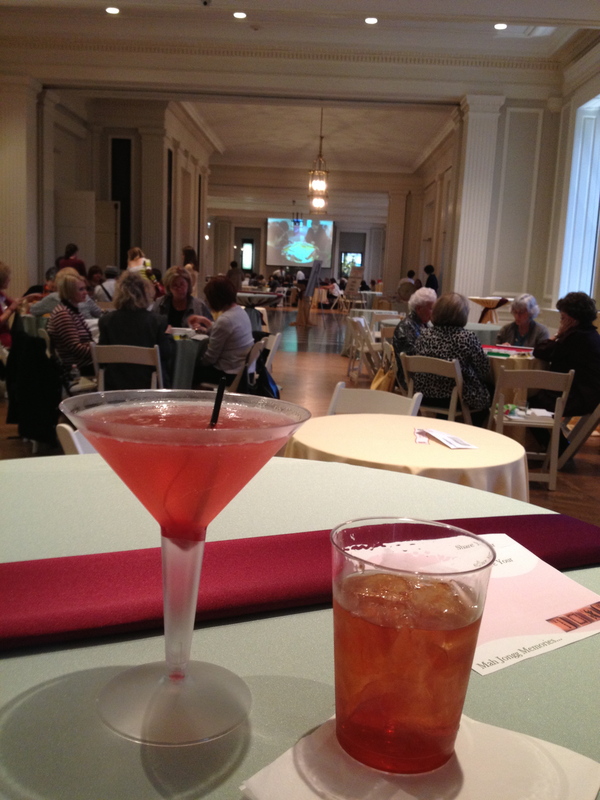 I especially wanted to go because the name of the event was “Memories, Martinis, and ‘Mahj”. How could I refuse? By the time we arrived, the games were in full swing. You could tell the people playing were pretty serious, so I knew early on that I’d be a spectator at this event and not a participant. Not to mention the fact that there are 136 tiles with different Chinese symbols and numbers in the set, and there’s a guide book needed to play. (I now know why they offered an info session!) So we headed over to the photo booth (woo!) to start out the night. The photo booth, which was a photographer taking photos, was fun because of the props. 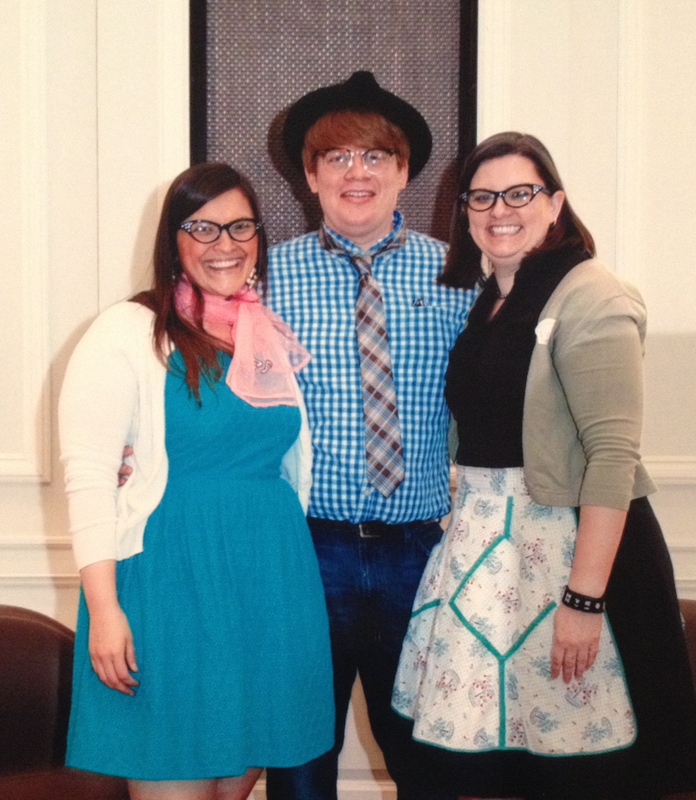 Nate was a great sport and dressed up in a tie, hat, and 50s glasses! The full-size photos were ready later in the evening, and were a great keepsake from the event. 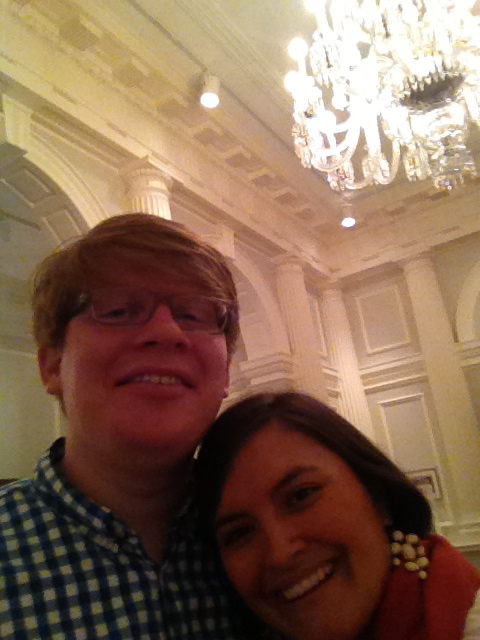 After photos, we grabbed a cocktail. I believe mine was called the Red Dragon (cosmopolitan) and Nate got a Manhattan (I forget the name!). Very tasty! There was also a spread of Jewish appetizers, followed by sweets and tea and coffee. 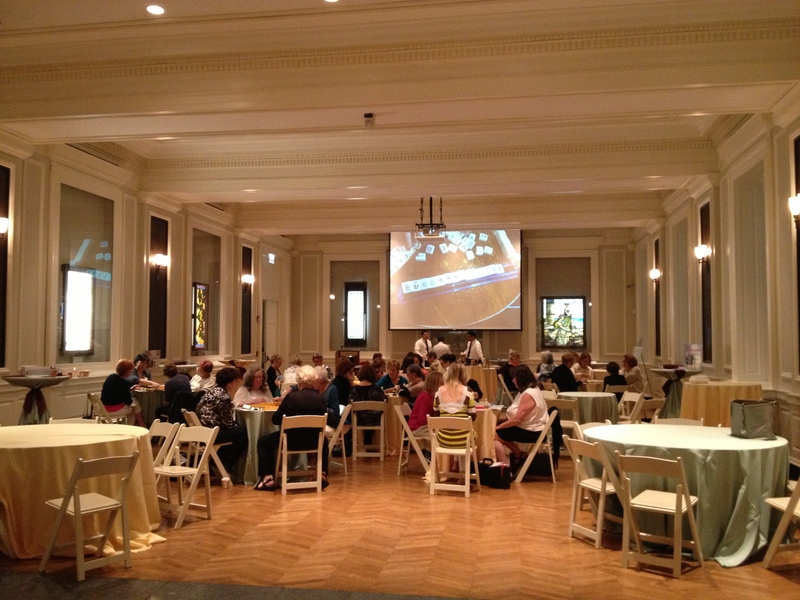 We hung out for a while…mingling, chatting with our fellow partygoers, learning trivia about Jewish Chicago, reading the Mah Jongg memories in the scrapbook they were putting together at the event, and…waiting for the raffle. 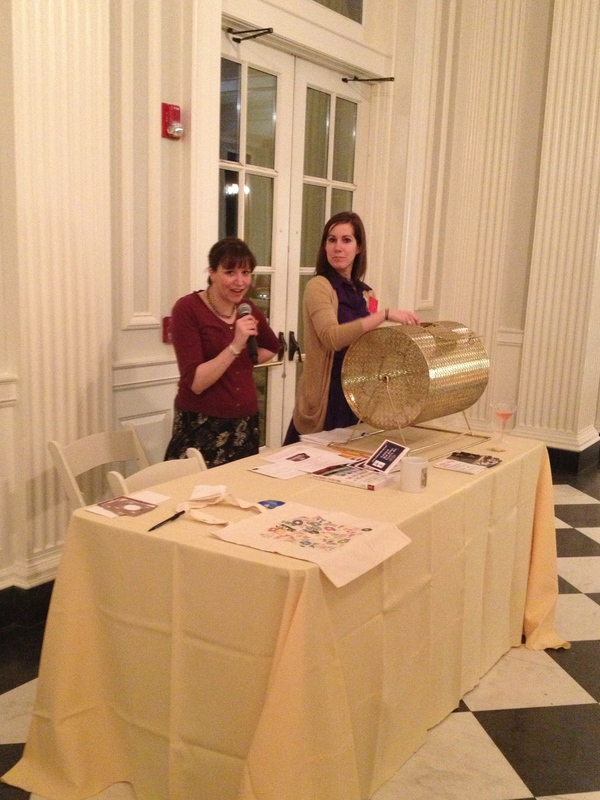 If there’s one thing I love more than photo booths, it’s raffles! 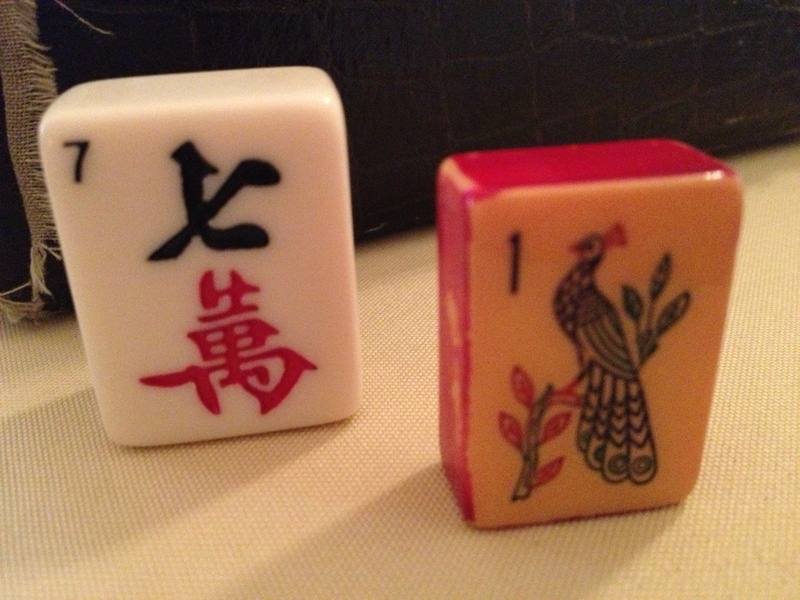 I earned a raffle ticket for my “50s-style dress”, and was excited to possibly win some swag: mugs, tote bags, and even a new Mah Jongg set. Did I win? YES! What did I win? 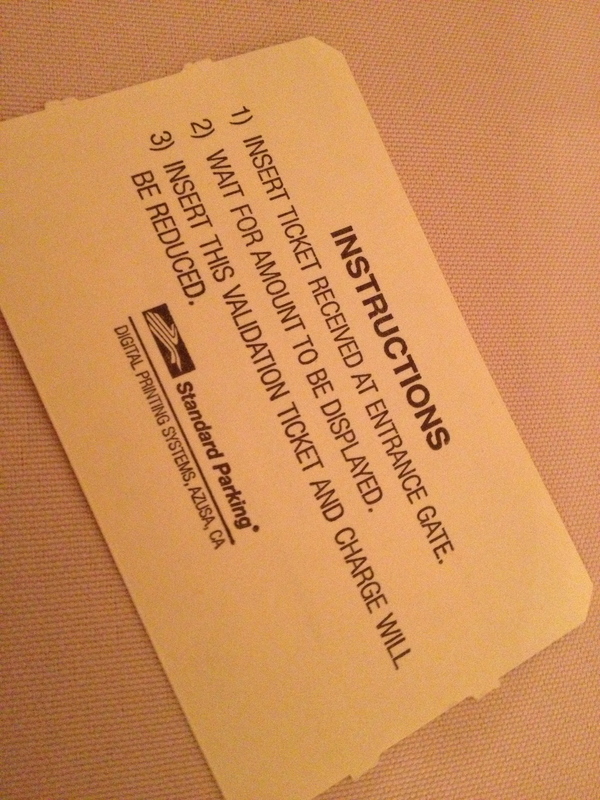 Free parking to return to the Museum, which I’m excited to use. I’d really like to bring my nieces and Nate’s nieces to the Museum to learn more about my great city. The Chicago History Museum has a ton of really cool events happening all the time, so make sure to check them out! I didn’t think the photobooth pics would make the final cut.